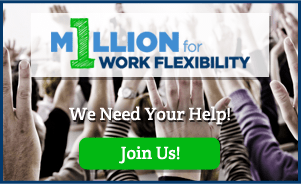 Tess Geunthner is a contributing writer for 1 Million for Work Flexibility and a Writer with FlexJobs. After years of working as an ESL teacher in the U.S. and overseas, Tess realized that remote work was not just for the lucky few, but something that many people could benefit from–including herself! Recent headlines about Megyn Kelly’s move to NBC provide more evidence that offering work flexibility can help companies attract top talent.